Regardless of our chosen flavor of news outlets, be they Blue or Red, we are often fed the same message in different forms. From the Blue, “Be Clear, the Future is Progressive!” From the Red, “Be Afraid, the Progressives are Taking Over!” These messages are different takes of the same narrative framework, telling the same story from different perspectives. And I’m not sure that story is necessarily true, at all. I think in fact the very opposite may be true — that progressivism might have already plateaued. But to understand why, we must take a bird’s eye view of what society even is. We’re about to get somewhat abstract, so if Heather Heying-esque analysis complexity triggers you, you’ve been warned. Since the birth of the field of psychology, scientists have argued over the “blank slate” theory, and certain political tribes have adopted it wholesale out of faith, while others eschew it. But as the science narrows, we’re starting to see the full picture, which is a bit of both. Humans are not a blank slate, but we are blanker than any other animals we know of, because our brains are bigger. This slate space gets filled with indoctrinated concepts such as money, the golden rule, nationalism, consumerism, and others, which are primarily responsible for the day to day operations of the human ant-colony. We don’t have to think about whether to push the old lady down the stairs, because we just run the “politeness” program without thinking. These indoctrinations may have no inherent truth to them at all, but that literally doesn’t matter at the society level. We use them because they work. Some perhaps better than others. There’s no fundamental reason, for instance, that a standardized slip of paper with a picture of a dead president on it should be of any objective value at all. That it “has value” is a consensual hallucination that we all have adopted, as a group, because we have been indoctrinated since birth to believe in that consensual hallucination. And that is not a bad thing, because if we were all to suddenly disbelieve this indoctrinated pseudo-fact, the entire “ant-colony” we call the United States would immediately break, devolving into abject anarchy akin to 2018 Venezuela or a Season 3 Rick and Morty episode. The “culture wars” at their root, are battles over which sorts of indoctrinated programming to adopt. How are these programs installed? · Parenting: You believe the things the big people tell you because they’re giving you food. · Church: You believe the things the preacher tells you because you don’t want to go to Hell. · Grade School: You believe the things the teacher tells you so you can get better grades. · Higher Education: You believe the things the college tells you so you can get a job. · Media: You believe the things the news media, advertisers, movies, and musicians tell you because they’re just so beautifully convincing. And perhaps feeding you dopamine. · Military Service: You believe the things your drill sergeant tells you, so you don’t get shot by some other folks who believed their drill sergeant more than you did. There are other indoctrination paths, such as Disney movies, but in our modern American society these represent some of the more dominant ones. We are indoctrinated with a vastly complicated nest of layered programming from these sources, and everyone is indoctrinated to different levels based on their different exposure to those self-same sources. Someone with high exposure to (Military Service) and (Church) will be indoctrinated differently than someone with high exposure to (Media) and (Higher Education). And those indoctrination differences will inform their behavior, as well as the things they hold as fundamentally “true.” Indoctrination helps to craft the “givens” on which people use logic to formulate more complex opinions. If two rational people apply logic to a problem, but they start with different givens, they will draw different conclusions. This is the very root of all reasonable cultural disagreement. If two rational people apply logic to a problem, but they start with different givens, they will draw different conclusions. This is the very root of all reasonable cultural disagreement. First let’s bail on the Right/Left paradigm, which is especially sticky and confusing in the Trump era, and look specifically at the Traditionalist/Progressive paradigm, where Traditionalists seek to maintain societal programs with historically tested efficacy, whereas Progressives want to innovate newer, better societal programs, while risking that the experiment might turn out tremendously bad. (more on this in: Ants) Societal programming evolves over time as these two factions play tug of war. Simple enough. But the indoctrination methods themselves also evolve, and those evolutions tip the scales one direction or another in the balance of power. And while it’s very difficult to predict where the evolution of our societal programming goes, we can look meaningfully at the relative influence of the indoctrination paths themselves. With numbers. When we do this, we see a different picture develop of the 21st century than the central media narrative. This data trend, which has a clear inflection in the mid-1960s around the dawn of feminism and the sexual revolution, buttresses Progressive programming by undermining (if unintentionally) a very important Traditional indoctrination path. But look closely. It plateaus around the mid-1990s, so the undermining effects of the sexual revolution on the parenting path are now static. The gains the Progressives made in the 1990s and 2000s are marginally related to this, but they can’t count on further gains in this area. Please be clear: we are not necessarily stating that the intent of the sexual revolution was to undermine parenting as a Traditional indoctrination path, merely that the result of it was to do so, for a time, but now that effect appears to have plateaued. 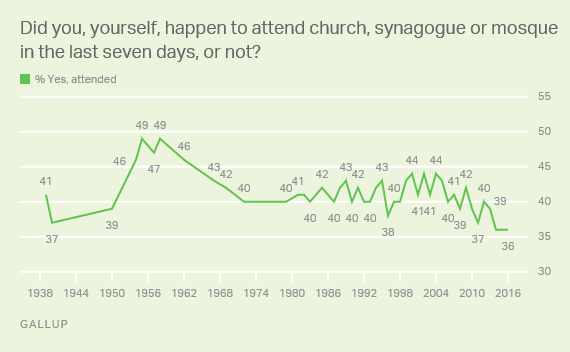 Along similar time scales to the rise of the sexual revolution, we see a reduction in religiosity of the American public, as well as a reduction in church attendance. But again, this trend basically stabilizes around the 1980s. So again in our indoctrination path analysis, we see a span of time where a Traditional path was undermined, granting the Progressive path an advantage in the tug of war, but that advantage may be basically neutral in the future. Grade schools vary widely throughout the country, and usually adopt indoctrination forms which reflect their local areas, owing to the level of local control school boards exert. That said, the influence of teachers-unions on public education is significant, and leans heavily Progressive at a federal level. Federal level statistics for per capita grade school attendance are difficult to come by. But when you throw a broad blanket over the studies, which are mostly performed at a local level, you see a general shift away from private schools and municipal public schools towards charter schools in urban areas. 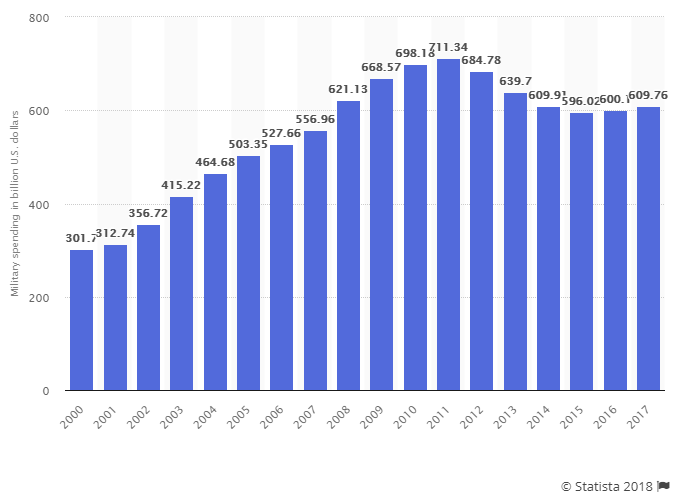 One of the more interesting trends for our purposes, however, is the rise of home schooling alternates to grade school education. 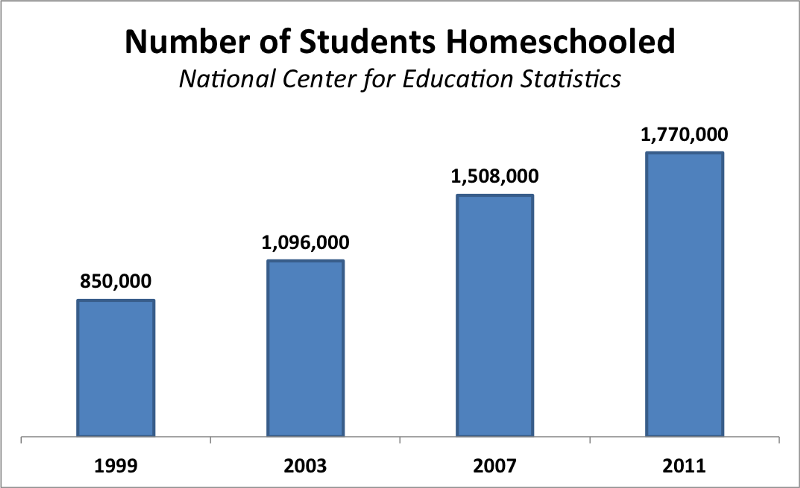 By ratio, homeschooling still only makes up around 3% of total attendance, but the trend is upward. Emerging educational technology such as the Khan Academy, where basically anyone can learn almost anything for free online, could easily provide a basis for homeschooling to skyrocket. Again, we see the same sort of trend — Progressive control of an indoctrination path may be undermined as the path becomes more diversified in the 21st century. Over the past half century, universities have been the largest and most effective path for progressive indoctrination in our nation, for two parallel reasons. The first is that Progressive educators rooted out and shunted Conservative educators slowly and systematically over the past several generations, gaining control of the steering wheel. Although this has become quite a hot topic in the past year, it’s been a point of discussion since McCarthyism. For our purposes in this article, it does not necessarily matter why Progressives control the ivory tower, purely that they do. What’s more interesting numbers wise is the second reason: student loans. The federal student loan program has been around for a while, but it expanded tremendously in the 1990s based on the flawed premise that “more degrees = more money.” While it’s true that degree holders earned more throughout the history of the USA, it’s explicitly untrue that flooding the job market with more degrees would somehow create additional higher paying jobs. While the universities expanded rampantly, and individually held college debt increased dramatically, the job profiles available in the country didn’t change. We still need the same approximate number of engineers, business managers, plumbers, wait staff, garbage collectors, and such, so the net effect of the degree bloom has been merely to transform the job application requirements for jobs that didn’t used to require a degree, into jobs that require some sort of degree as a placeholder for a checkbox. This is good for Progressive indoctrination paths because it floods the universities with people looking for a degree in (something), and those students often choose programs which are basically either glorified hobbies or pure indoctrination. It also makes these indoctrination degree holders angry, when they get into the marketplace and discover the terrible ROI with which they’re saddled, so they start demanding loan forgiveness or ranting on Reddit about how capitalism is broken. Even in the technical fields, the ways you acquire and maintain faculty position have buried feedback loops that poison the engine. This is a bubble that is absolutely going to pop. As mentioned above, most college degrees outside of specific professional fields such as engineering, medicine, or law, aren’t functionally useful in the marketplace. They’re just a signal that someone is trainable and willing to “do work.” Some researchers think 80% of the entire college experience, and by extension its cost, is vested purely in acquiring this signal. Degrees are merely a checkbox on an application form, and they usually don’t matter anyway after you’ve been in the job market for a few years. The free market is already in the process of toppling this beast, as major universities start to adopt the Kahn Academy model of streamlining online education to provide the same signal on the cheap. Once this model takes hold, and it will, all the tremendous capital outlays in real estate and facilities upgrades that colleges have invested in over the past two decades are going to be empty, wasted space, with carrying costs rising and enrollment falling. The whole thing is going to go Tango Uniform. The impact of that crash on Progressive indoctrination paths cannot be overstated. It will be devastating. The news media has been, if not explicitly “Progressive,” at least tremendously liberal for most of the last century. This is well documented. But the shift we’ve seen with the rise of social media, and the fractionalization of traditional media sources, means that the gatekeepers are no longer manning the gates. All meaningful media is internet-transmitted, and anyone can put anything on the internet. You are contributing to this right now, by reading this article. This has transformed the media from a Progressive indoctrination path to an unaligned indoctrination amplifier. The media is now, officially, in nobody’s camp. Indoctrination is one of the most important functions of any military training regimen, and always leans Traditionalist by its base nature. The entire point of a military is to defend a nation’s borders and traditions against hostile nations and hostile traditions. It will never be progressive, because if it was, it would cease to function. Further, indoctrination is important for military service because troops who believe in what they’re doing, do it better than troops that don’t. It’s fundamental to morale, and morale is a very important thing to maintain, for fear suppression, unit cohesion, and overall operational effectiveness. The military indoctrination path in the United States is not only stable, it’s likely to grow. At the turn of this century, US military spending was approximately 300 billion dollars annually. It grew steadily throughout the W Bush years, as well as the first three years of Obama, to 711 billion. Even Obama’s greatest military cuts, with the support of a Democratic congress, still doubled Clinton era expenditures. Don’t forget the Democrat candidate for president in 2016 wanted to increase military presence in Yemen and shoot Russian jets down over Syria. There is no indication, anywhere that I can see, that the military indoctrination path is going to go into any sort of a downturn in the near or far future. Progressive indoctrination paths reaped huge gains from the 1960s to modern times, primarily due to shifts in grade school, higher education, and media control, while traditional paths suffered in the areas of parenting and church, with military indoctrination remaining stable. Progressives are often smug in their thoughts that traditional indoctrination paths are drying up. I’m skeptical. In my view, the future looks very different. The damage done to the traditional paths in parenting and church is not getting any worse, numbers wise, while the progressive paths of grade school and higher education are approaching a tipping point, and the media indoctrination path is already fractured beyond recognition. I think that some progressive thinkers can see this, at least subconsciously. I think this understanding, at one level or another, is driving both the “#fakenews” narrative and the “free college” narrative, which are attempts to shore up those indoctrination paths. And I think this understanding is absolutely at the root of the Great Media Freakoutery over Jordan Peterson, whose primary schtick is purely to offer an alternate indoctrination path to traditional values. As they say, past performance is not indicative of future results. 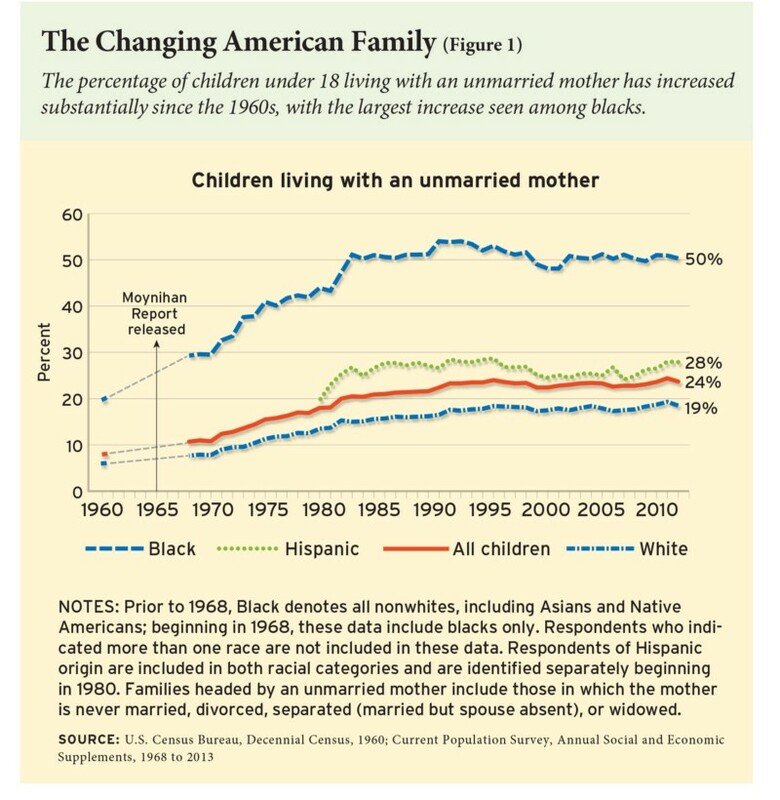 And the numbers I see, indicate a potentially dramatic Traditionalist culture war shift in the decades to come.